Warning: this is not for the faint of heart. I don’t think there was anyone who didn’t admire Steve Irwin. He was fearless, badass and just a plain ol’ nice guy. When he passed away in 2006, we were all heartbroken. Who would be our modern-day Crocodile Hunter? Well, if you’re interested in filling Irwin’s boots, there’s a place in the croc hunter’s home country of Australia where you can get up close and personal with the scaly reptiles. 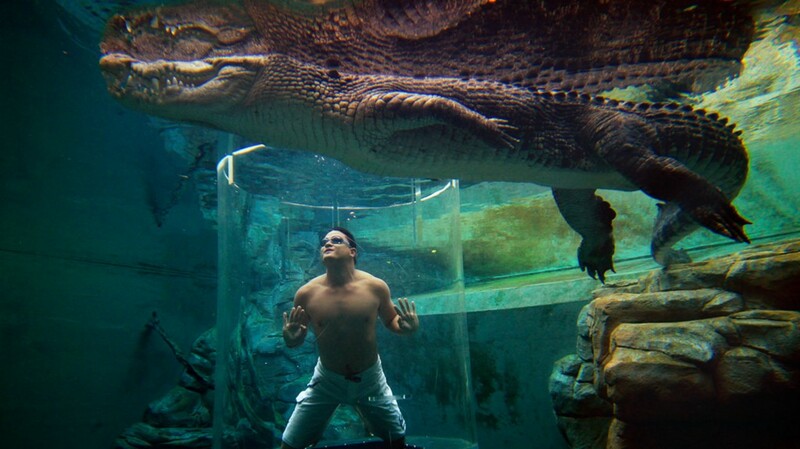 Crocosaurus Cove—the only crocodile dive in Australia—is a major tourist attraction in the Northern Territory capital of Dawin. 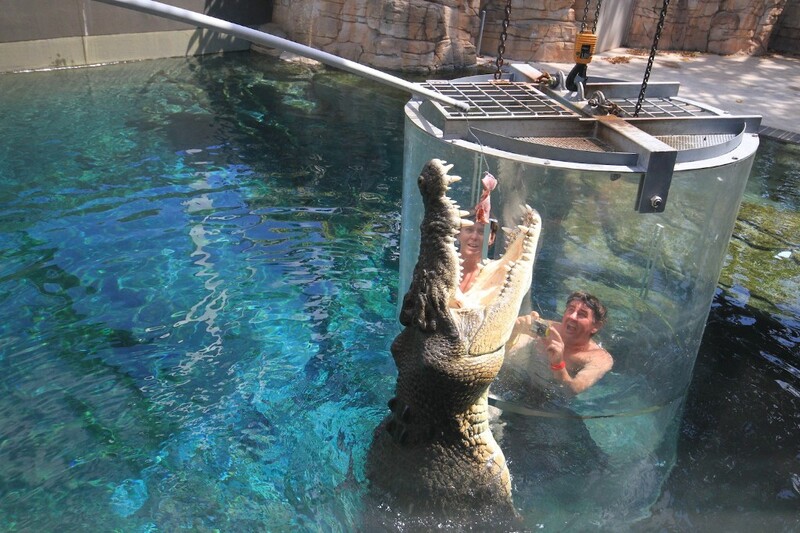 Its “cage of death” traps customers in a clear, glass cylinder enclosure, then places them underwater with massive crocodiles that are at least 600 pounds. The best part? The staff feeds the crocs while you’re submerged, so you get a too close for comfort view of the deadly creatures—and some killer snaps for your Insta feed. After the dive, you’re able to wander around the rest of Crocosaurus Cove, which offers additional attractions like crocodile fishing and the opportunity to swim with the reptiles—yes, really. So, if you’ve ever wanted to be as courageous as Steve Irwin, it’s time to book a ticket down under.